Though it was in working order, we immediately began to update the unit and since that time we have replaced, tuned, repaired, refinished, etc. 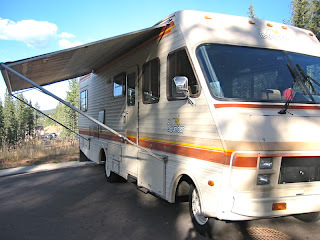 most everything in the RV. As pictured, the coach has original A&E Imperial 8000 awnings: three on the driver's side and main awning on the passenger side.